COVER CROP FIELD DAYS…Don’t Miss This! 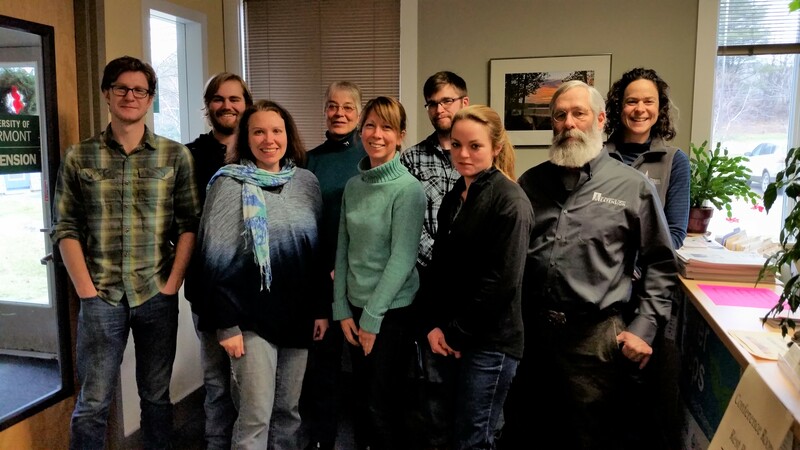 Join the UVM Extension’s Champlain Valley Crop Soil & Pasture Team and Northwest Crops & Soils Program, the Champlain Valley Farmer Coalition and local farms to check out what farmers around the Champlain Valley are doing on their farms to fit cover crops into their cropping systems. See annual ryegrass, white clover and forage radish mixed right in with Urea and seeded at sidedress time in July. The Pouliots got a great catch, and now we can see how it survived the traffic during harvest, talk to the farmers about whether or not it competed with the corn, their herbicide program and see what they might change for next year. An added bonus…Tony will bring out the Great Plains twin-row corn planter. 1/3 Mile East of Panton Village on Panton Rd. The Vorstevelds welcome us back to get a look at the cover crops that have been growing since mid-August, see the results of manure injection and more. We’ll also see how their winter rye, winter wheat, oat, radish cover crop is doing that they seeded immediately after corn harvest…and how that cover crop did after manure was injected right after seeding. We can also talk to the Vorstevelds about their ‘minimum till’ system they have been using on their heavy clay soils. 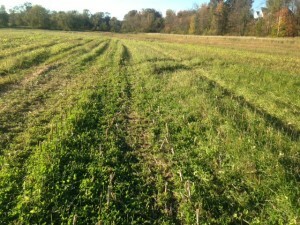 Check out results of two different cover crop studies – all in one field. 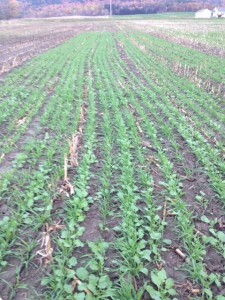 See 10 different three-way cover crop mixes, each planted in July, August and September. We’ll also take a look at a research plots with winter rye drilled and broadcast, with and without Tillage Radish planted in mid-September. All of these plots also have portions with and without manure applications. We’ll also take a look at winter rye broadcast and rolled – per NRCS specifications. Meet us at our office at 278 S. Main St, St. Albans BEFORE 1pm to join this tour. Depending on numbers, we may rent some vans. Please RSVP by November 6.
goes West along the border. Borderview Farm is the first farm on the Left.